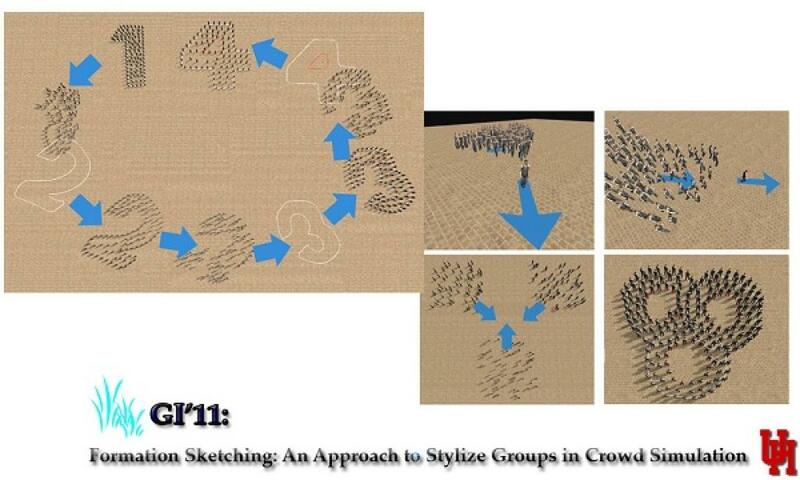 Our paper (co-authored with Xifeng Gao (former PhD student), Prof. Guoning Chen, and Colleagues at New York University and Hong Kong University) titled “Robust Structure Simplification for Hex Re-meshing” was conditionally accepted to ACM SIGGRAPH Asia 2017 Conference as a full technical paper. 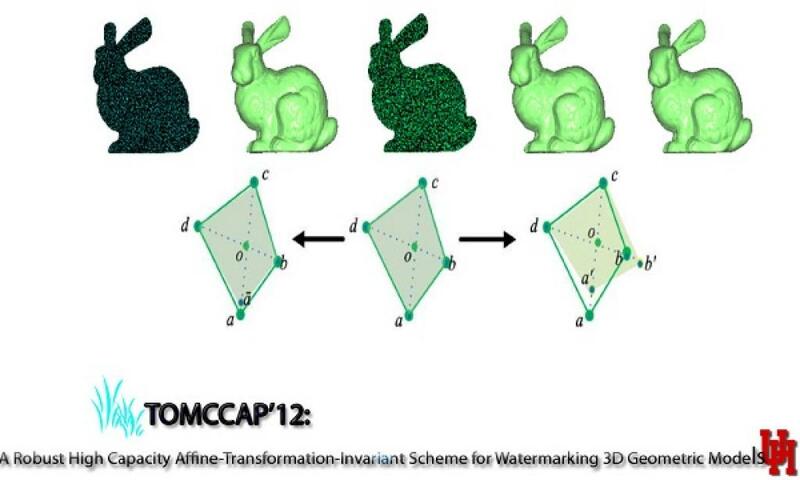 Our paper (co-authored with Colleagues at Zhejiang University, China) titled “Topologically Consistent Leafy Tree Morphing” received the “Best Paper Award” on International Conference on Computer Animation and Social Agents (CASA) 2017 which was hold at South Korea in May 2017. 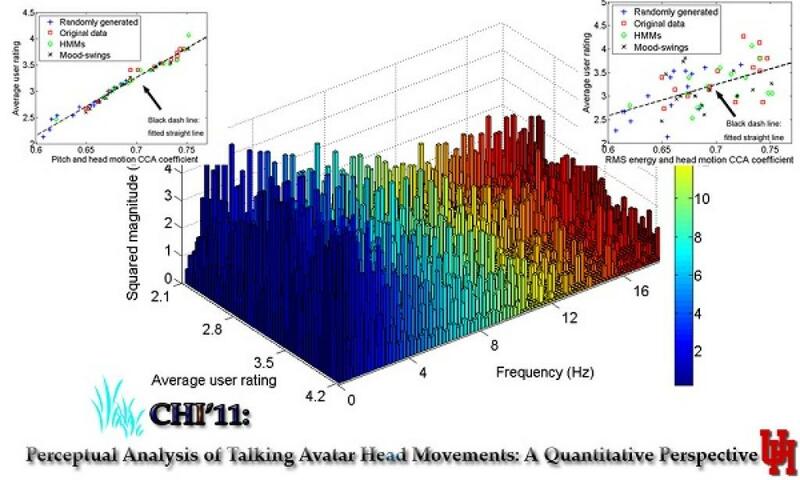 Our paper (co-authored by Yu Ding, Yuting Zhang, Meihua Xiao, and Zhigang Deng) titled “A Multifaceted Study on Eye Contact based Speaker Identification in Three-party Conversations” was accepted to ACM CHI 2017 Conference as a full research paper. ACM CHI Conference is the premier venue in human computer interaction field. 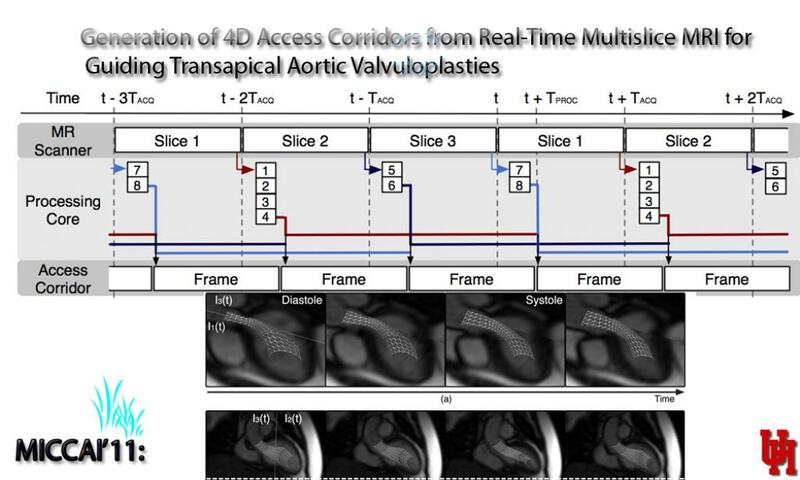 Dr. Ding will attend the conference to present the work. 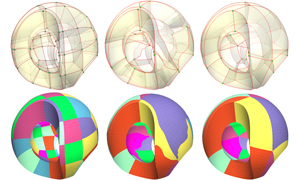 Our paper “Hexahedral Mesh Re-parameterization from Aligned Base Domains” (authored by Xifeng Gao, Zhigang Deng, and Guoning Chen) is accepted to ACM SIGGRAPH 2015 technical paper program, the premier conference for computer graphics and interactive techniques.- It introduce a first and complete pipeline to optimize the global structure of a hex-mesh, by identifying and removing those valid removal base-complex sheets that contain misaligned singularities. Prof. Deng receives a “Certificate of Excellence” in recognition of extraordinary achievements from College of Natural Sciences and Mathematics at University of Houston, during the Provost’s 2014 award recognition luncheon. 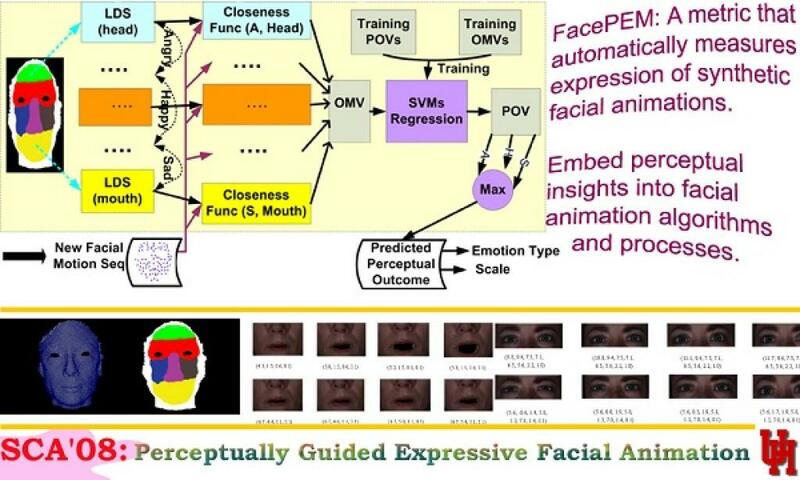 Prof. Deng is a co-recipient of the “Ten Year Technical Impact Award” on ACM International Conference on Multimodal Interaction (ICMI) 2014 Conference (the premier conference on multimodal interaction), for his co-authored ICMI 2004 paper “Analysis of emotion recognition using facial expressions, speech and multimodal information“. 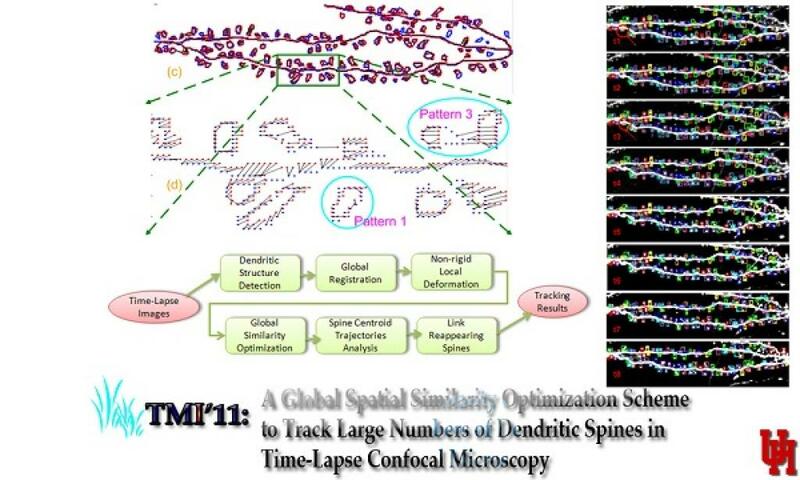 Prof. Deng will serve as a Conference General Co-Chair of ACM SIGGRAPH/Eurographics Symposium on Computer Animation (SCA) 2015 that will be held at Los Angeles, CA (co-located with ACM SIGGRAPH 2015). 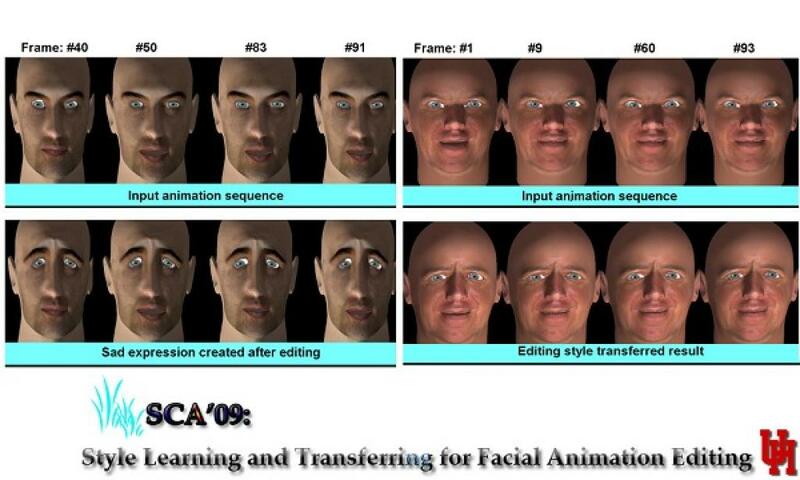 SCA is the premier conference on computer animation. 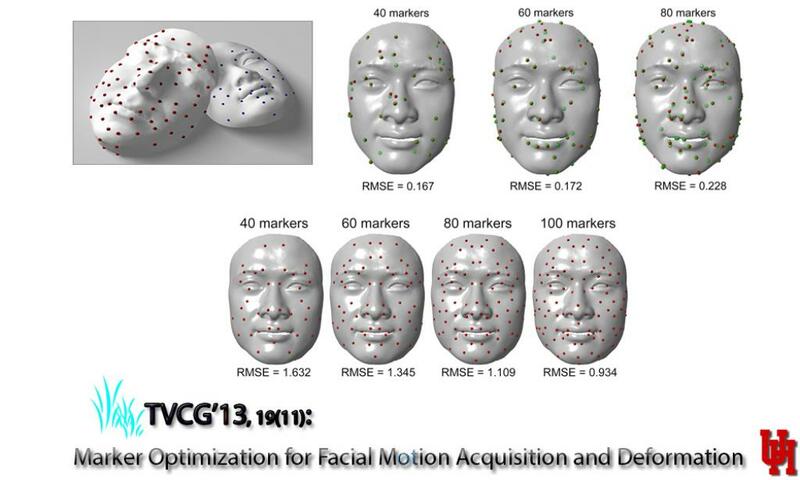 Prof. Deng will co-instruct a half-day course “Skinning: Real-time Shape Deformation” (together with Alec Jacobson at Columbia University, Ladislav Kavan at University of Pennsylvania, and J.P Lewis at Weta Digital/Willington University of Victoria, New Zealand) on the ACM SIGGRAPH 2014 Annual Conference, the premier conference for computer graphics and interactive techniques. 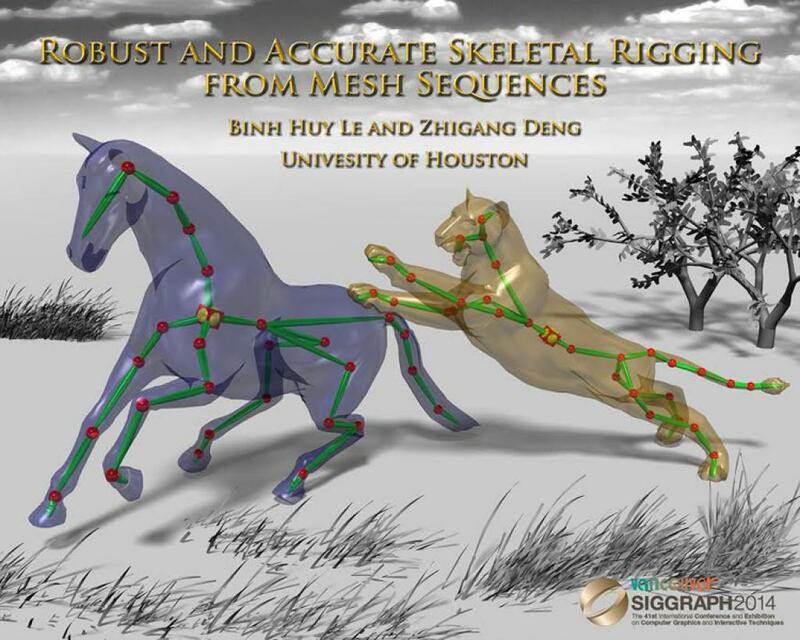 Our paper “Robust and Accurate Skeletal Rigging from Mesh Sequences” (authored by Binh H. Le and Zhigang Deng) is accepted to ACM SIGGRAPH 2014 technical paper program, the premier conference for computer graphics and interactive techniques. 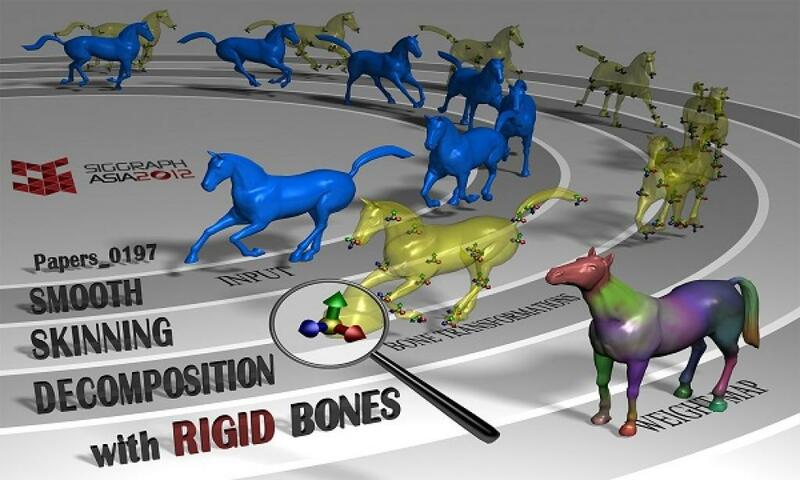 – It introduce an example-based rigging approach to automatically generate linear blend skinning models with skeletal structure. 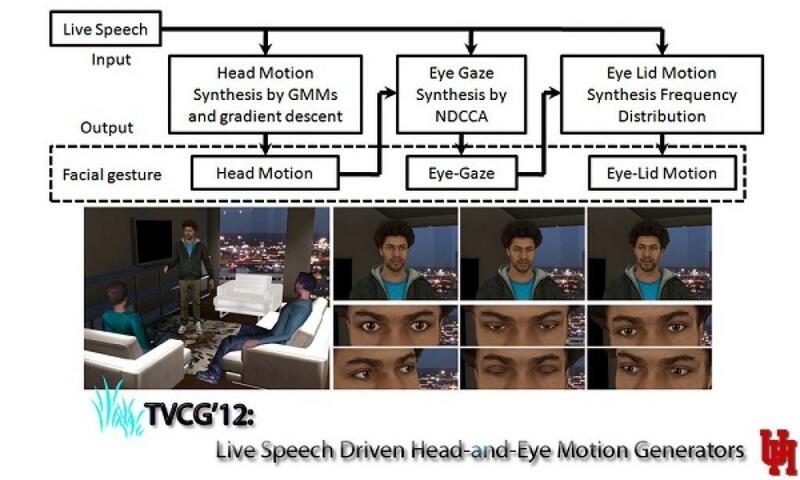 The output can be directly used to set up skeleton-based animation in various 3D modeling and animation software as well as game engines. Visit its project page for full paper and demo video. Prof. Deng was appointed an Adjunct Associate Professor at School of Biomedical Informatics at the University of Texas Health Science Center at Houston. Starting from April 2014, Prof. Deng will serve as an Associate Editor of the Computer Graphics Forum Journal (the official publication of Eurographics). 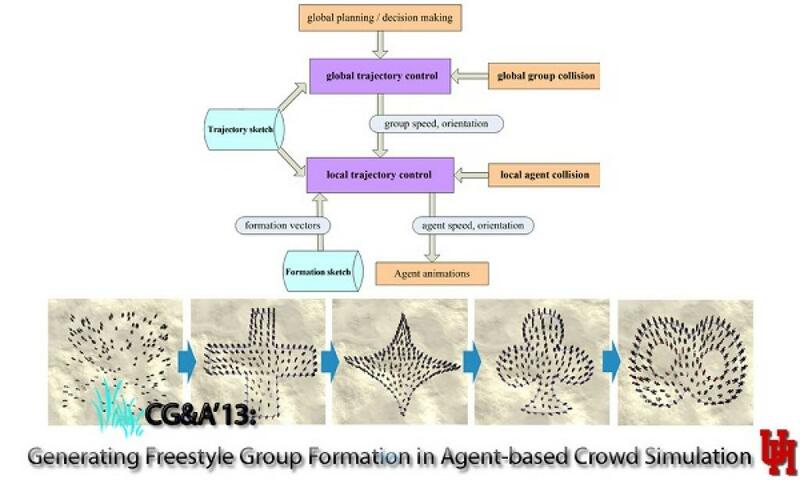 As a Conference General Co-chair, Prof. Deng will co-host the 27th International Conference on Computer Animation and Social Agents (CASA) 2014 in May at Houston, Texas. 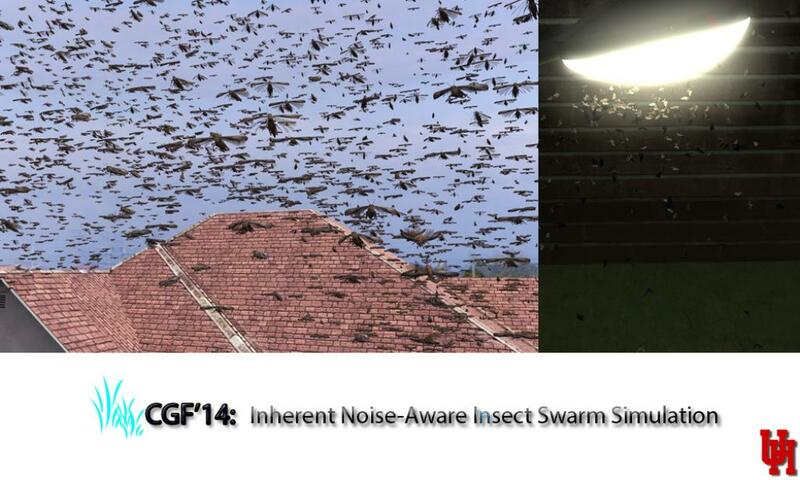 Here is its “call for papers” and the conference website. Prof. Deng is invited to join the editorial board of the Computer Animation and Virtual Worlds (CAVW) Journal by Wiley Press as an Associate Editor. 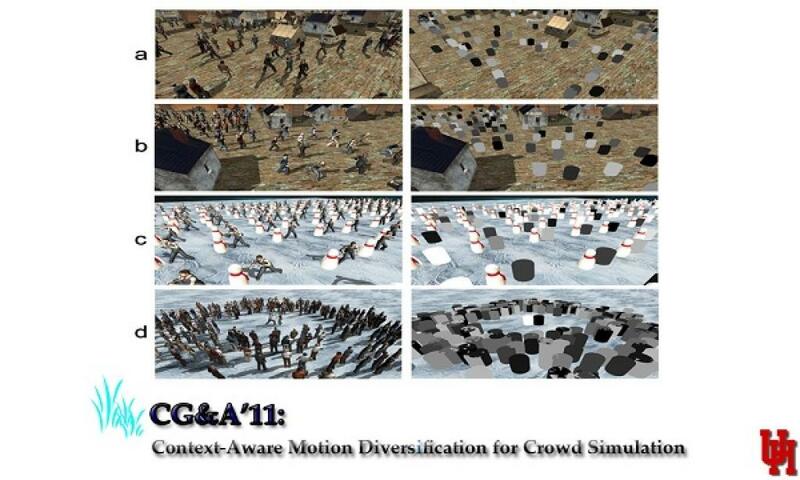 The CAVW Journal is one of the leading journals delicately focused on computer animation publications. Congratulations to Binh Le for winning the 2013 “Friends of NSM” Fellowship! 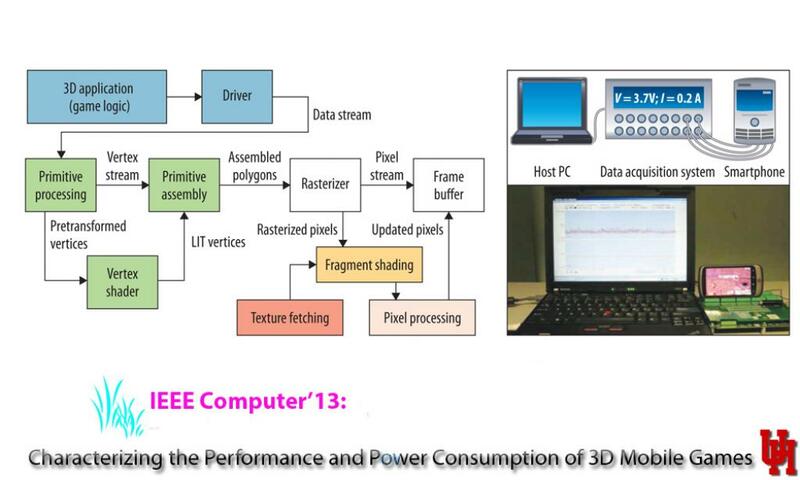 Our recent IEEE Computer paper titled “Characterizing the Performance and Power Consumption of 3D Mobile Games” (April 2013 issue) is featured on the UH CS department website. Check the full story here. Congratulations to Binh Le, Xifeng Gao, and Chrysanthi Chaleva Ntina for winning annual department graduate student awards! Here is the department news about these awards. – Binh H Le receives UH CS Department 2013 “Best PhD Student” Award. – Xifeng Gao receives UH CS Department 2013 “Best Junior PhD Student” Award. – Chrysanthi Chaleva Ntina receives UH CS Department 2013 “Best MS Thesis Student” Award. Prof. Deng is a co-recipient of 2013 University of Houston Teaching Excellence Award for group teaching excellence in game design education, which is the highest teaching excellence honor given by the University of Houston. Here is the UH NSM News and Department News about this teaching award. 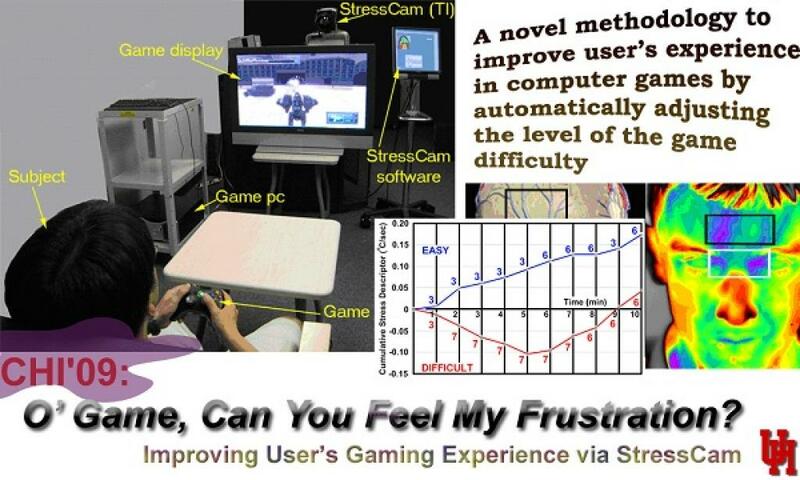 – Together with C. Yun, O. Johnson, J. Baez, Prof. Deng co-founded the UH Game Design program. In the past several years, student teams at the UH Game program have consistently shown strong performance in the annual Microsoft Imagine Cup Game Design US Competition, including: the 2nd and 3rd places in 2010 US competition; the 1st and 2nd place (mobile game category) and the 3rd place (PC/XBox category) in 2011 competition; and the 3rd place (mobile game category) and the 4th place (PC/XBox category) in 2012 competition. 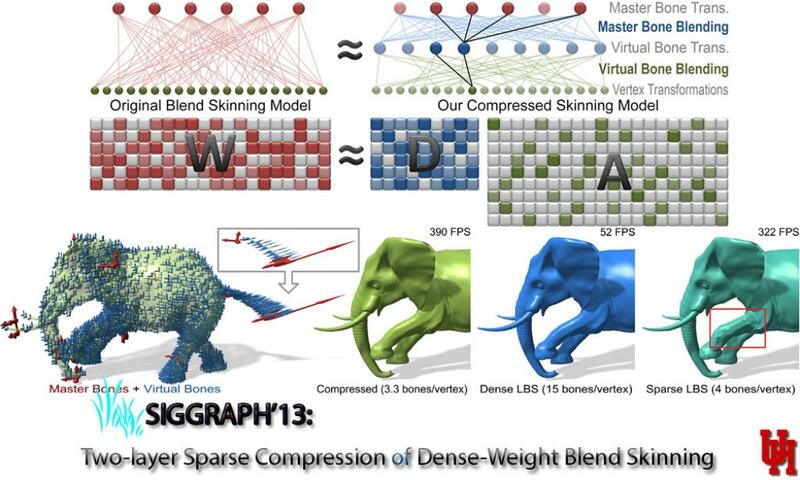 Our paper “Two-layer sparse compression of dense weight blend skinning” (authored by Binh H. Le and Zhigang Deng) is accepted to ACM SIGGRAPH 2013 technical paper program, the premier conference for computer graphics and interactive techniques. 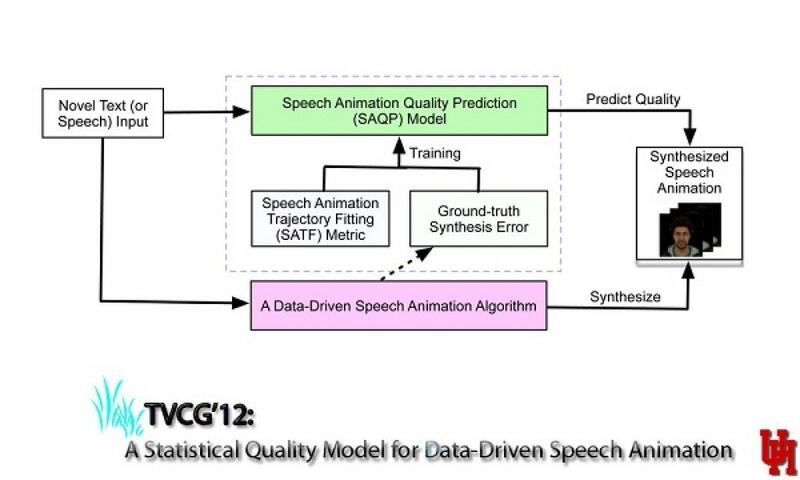 – It introduces an efficient two-layer sparse compression technique to substantially reduce the computational cost of a dense-weight skinning model, with insignificant loss of its visual quality. Visit its project page for full paper and demo video. 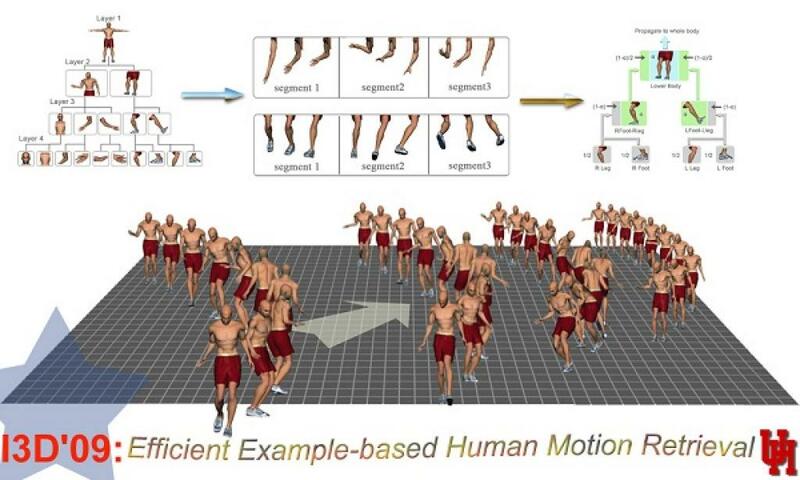 Prof. Deng receives an NIH grant to develop a novel interactive virtual environment to engage children with more physical activities. This research is in collaboration with Baylor College of Medicine behavioral medicine researchers. Congratulations to Nikhil Navkar (5th PhD from the group) takes the position of R&D Executive at Qatar Robotic Surgery Center. 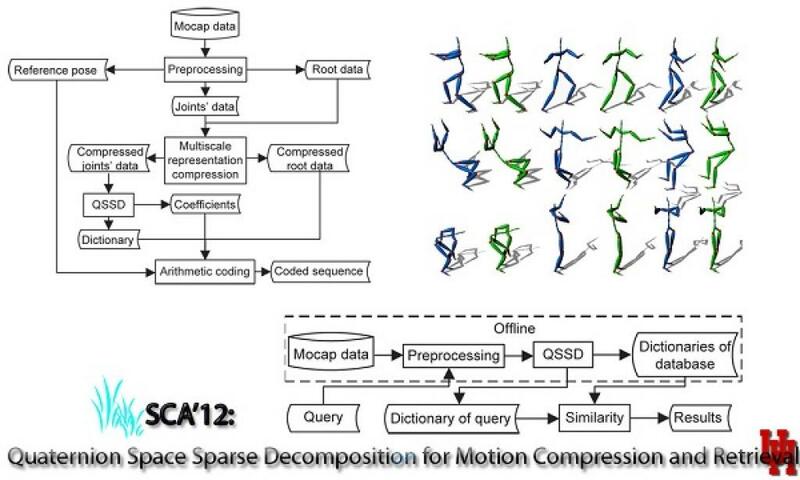 Our paper “Smooth Skinning Decomposition with rigid bones” (authored by Binh H. Le and Zhigang Deng) is accepted to SIGGRAPH Asia 2012 technical paper program. 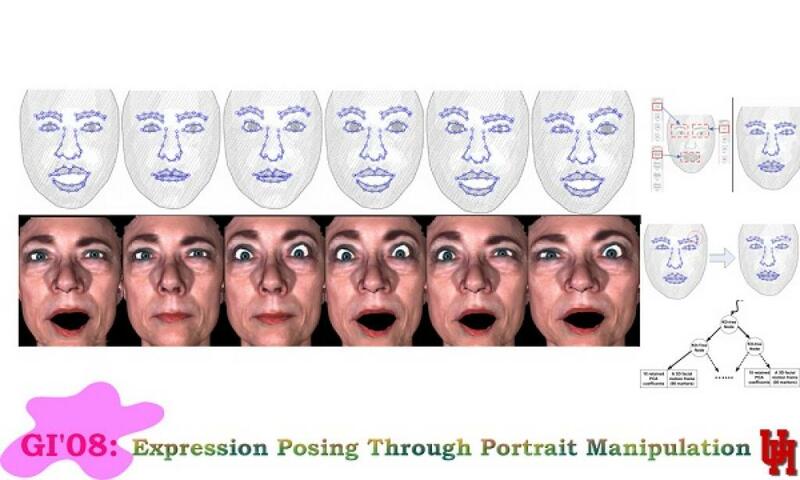 – It introduces an automated SSDR algorithm to extract the linear blend skinning (LBS) from a set of example poses. 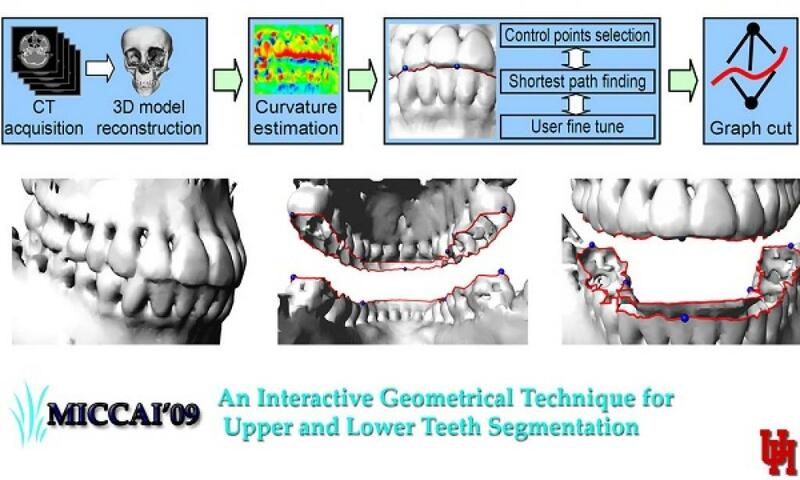 The SSDR model can effectively approximate the skin deformation of nearly articulated models as well as highly deformable models by a low number of rigid bones and a sparse, convex bone-vertex weight map. Visit its project page for full paper and demo video. 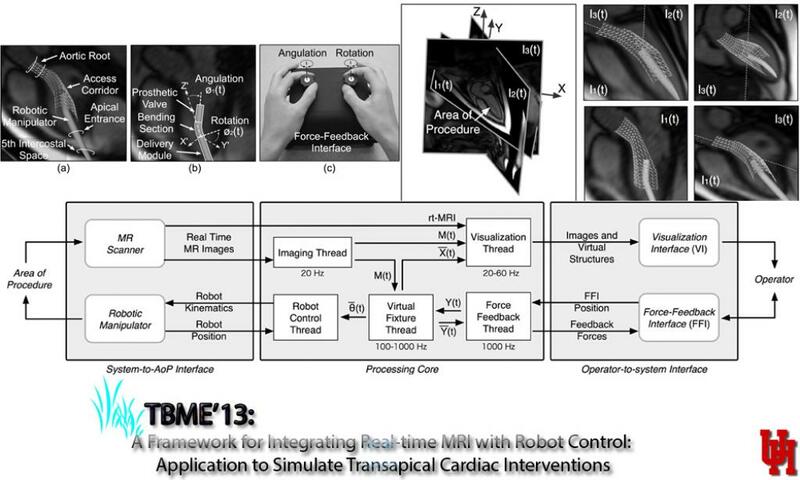 Our paper “Visual and Force-Feedback Guidance for Robot-Assisted Interventions in the Beating Heart with Real-Time MRI” has been selected as the Runner-up of the Best Medical Robotics Paper Award at IEEE International Conference on Robotics and Automation (ICRA) 2012, which is one of leading venues in robotics. Welcome! 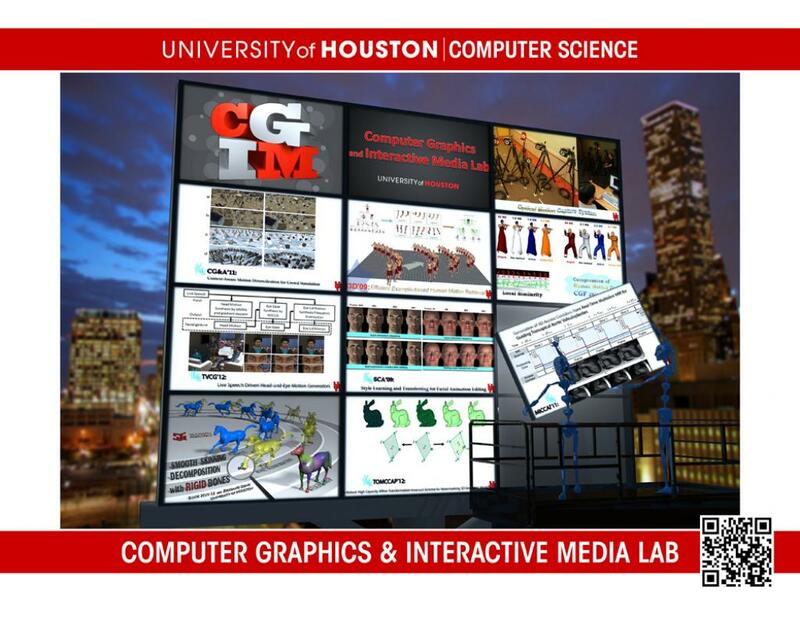 The Computer Graphics and Interactive Media Lab (CGIM) at the University of Houston was founded in January 2007. 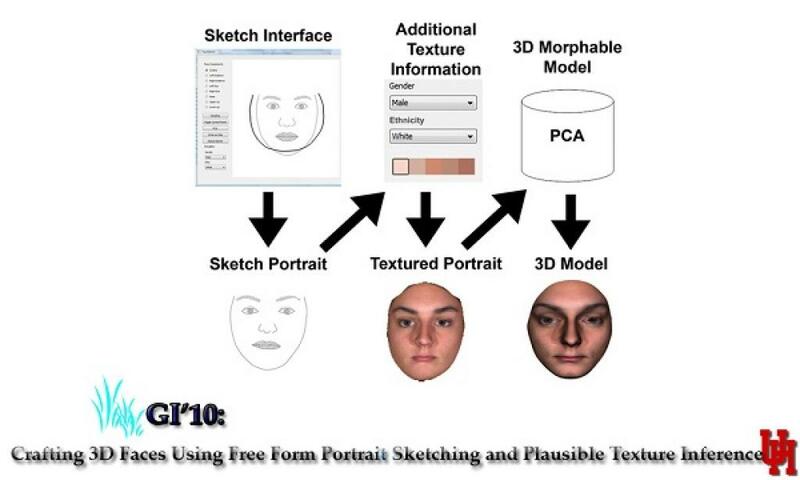 Its focused research areas cover computer graphics, computer animation, virtual human modeling and animation, human-centered computing, human computer interaction, and affective computing. 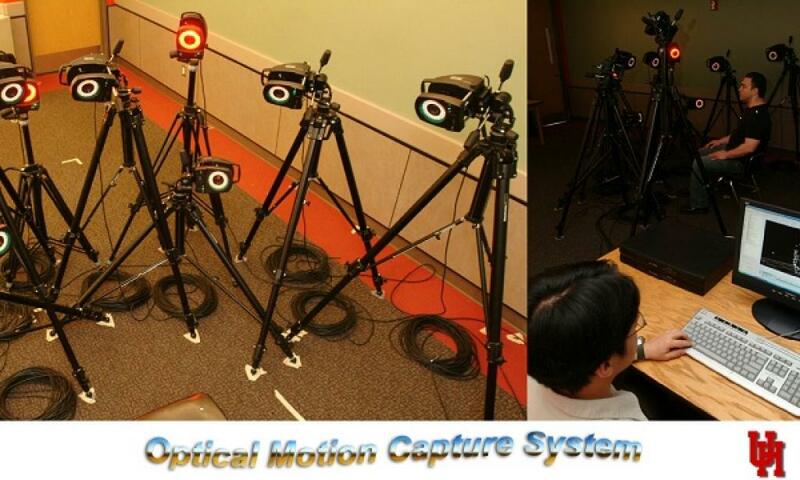 It is equipped with a state-of-the-art motion capture system and other cutting-edge imaging, computing, and data acquisition devices. 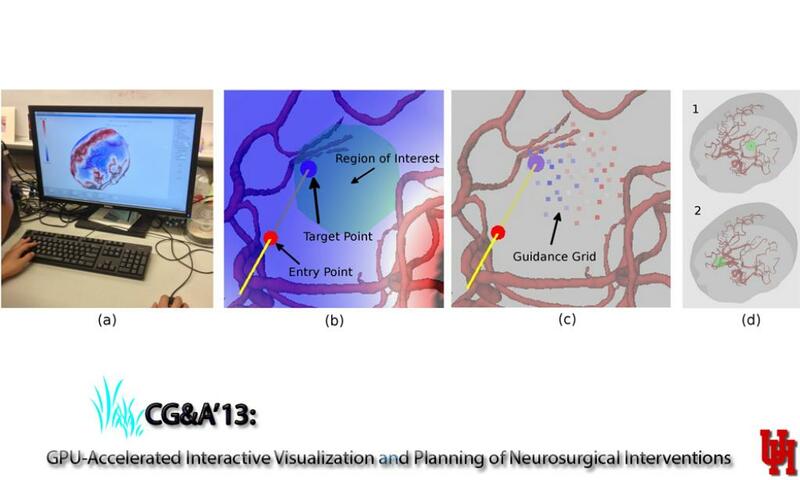 In collaboration with researchers in many other fields, we conduct a range of interdisciplinary research projects.